The Great Wall of China is the world&apos;s longest wall and biggest ancient architecture. Its winding path over rugged country and steep mountains takes in some great scenery. It has a stunning array of scenery from the beaches of Qinhuangdao, to rugged mountains around Beijing, to a desert corridor between tall mountain ranges. 2. 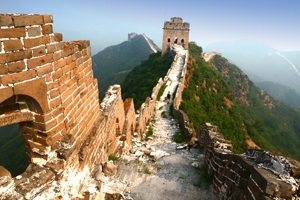 Most of today&apos;s relics are the Ming Dynasty Great Wall: length 8,851 km (5,500 mi). 3. The Great Wall is more than 2,300 years old. 4. The Ming Great Wall crosses 9 provinces and municipalities: Liaoning, Hebei, Tianjin, Beijing, Inner Mongolia, Shanxi, Shaanxi, Ningxia, Gansu. 5. Badaling is the most visited section (63,000,000 visitors in 2001). And in the first week of May and October, the visitor flow can be up to 70,000 per day. 6. 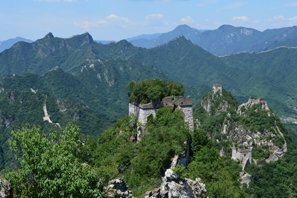 The average height of the Great Wall at Badaling and Juyong Pass is 7.88 meters, and the highest place is 14 meters high. 7. Nearly 1/3 of the Great Wall has disappeared without trace. 8. Since 1644, when the Ming Dynasty was overthrown, no further work has been done on the Great Wall (for military purposes — some has been restored for tourism). 9. Great Wall reconstruction and protection began with Badaling in 1957. 10. In December 1987 the Great Wall was placed on the World Heritage List by UNESCO. 1. The Great Wall of China cannot be seen from space by the human eye without aid. 2. 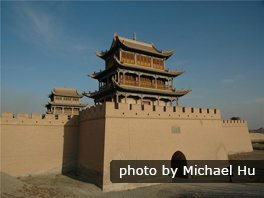 The Great Wall is not a continuous line: there are side walls, circular walls, parallel walls, and sections with no wall (high mountains or rivers form a barrier instead). In the Qin Dynasty (221–206 BC), glutinous rice flour was used to bind the Great Wall bricks. 3. The Great Wall labor force included soldiers, forcibly-recruited peasants, convicts, and POWs. 4. 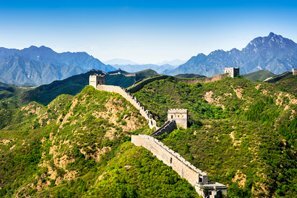 The First Emperor of Qin was not the first to build the Great Wall. He linked the northern walls of the states he conquered. 5. There most popular Great Wall legend is about Meng Jiangnv, whose husband died building the Wall. Her weeping was so bitter that a section of the Wall collapsed, revealing her husband&apos;s bones so she could bury them. 6. The Gubeikou Section of the Great Wall has bullet holes in it, evidence of the last battle fought at the Great Wall . 7. 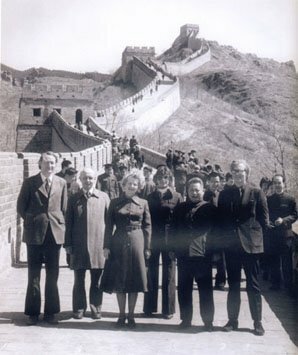 During the Cultural Revolution (1966–1976), many Great Wall bricks were used in building homes, farms, or reservoirs. 8. The northwestern Great Wall sections (e.g. in Gansu and Ningxia provinces) are likely to disappear in 20 years, due to desertification and change in human land use. 9. The Jiankou Section of the Great Wall, known for being steep and winding, enjoys the most appearances on Great Wall picture books and post cards. 10. 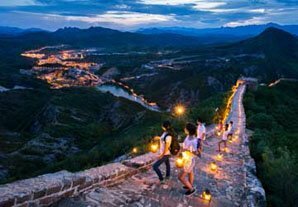 The most famous section of the Great Wall — Badaling — has been visited by over 300 heads of state and VIPs from around the world. The first of which was Soviet statesman Klim Voroshilov in 1957. 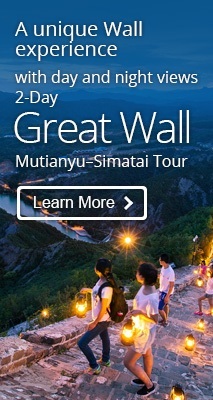 The Great Wall of China is a must-see attraction to all travelers to China. If you are planning a trip to the Great Wall, just tell us your interests and requirements, we will help you create your Great Wall tour.